TIAN Permanent Makeup offers two ways to remove unwanted permanent makeup, microblading or tattoo. Which one will work better on you only master can decide when see you in person. It depends on a lot of factors, such as skin condition, age of tattoo, color of that ink etc. 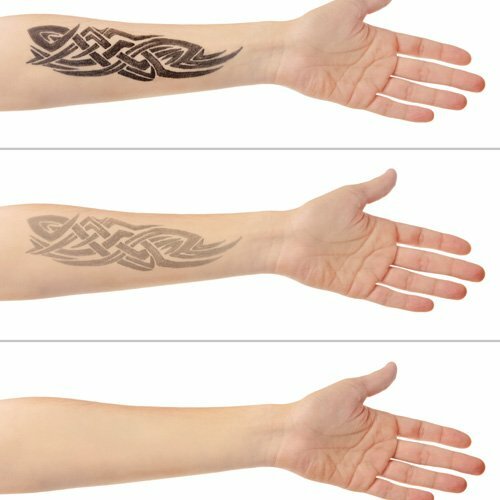 Rejuvi Tattoo Remover utilizes a unique chemical extraction mechanism to soften the tattoo pigments/inks that gradually move to the skin surface. Rejuvi Tattoo Removal is non-color selective, which means that it can remove any colors even red, green and beige. With Rejuvi Tattoo Removal its less scarring, cheaper and not painful. If properly done by authorized artists one one or two treatments needed to get rid of an old permanent makeup.However, 2-6 treatments are needed for body tattoo removal with minimal scarring risk. The time required for a treatment depends upon the removal area. The treatment has been extensively researched and tested for 30 years. The treated area will initially experience redness, which will diminish soon. Rejuvi Tattoo Removal is effective for both body tattoos and permanent makeup, except for those in the delicate eye area. However, Rejuvi Tattoo Removal requires tattooing or permanent makeup experience because it uses tattoo-over procedures. There are numerous benefits to this method of removal compared to other methods.